Che Loco!. 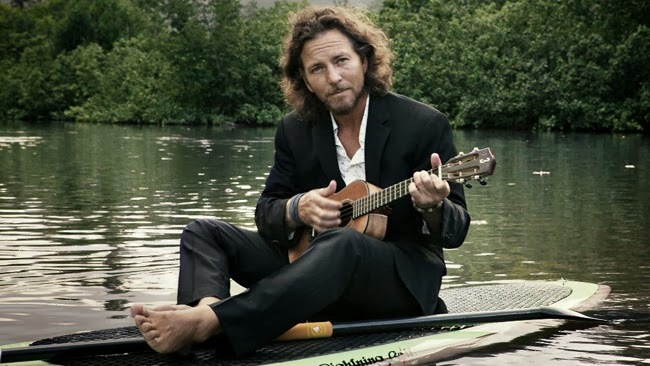 : EDDIE VEDDER HARA 5 SHOWS EN BRASIL EN MAYO 2014. 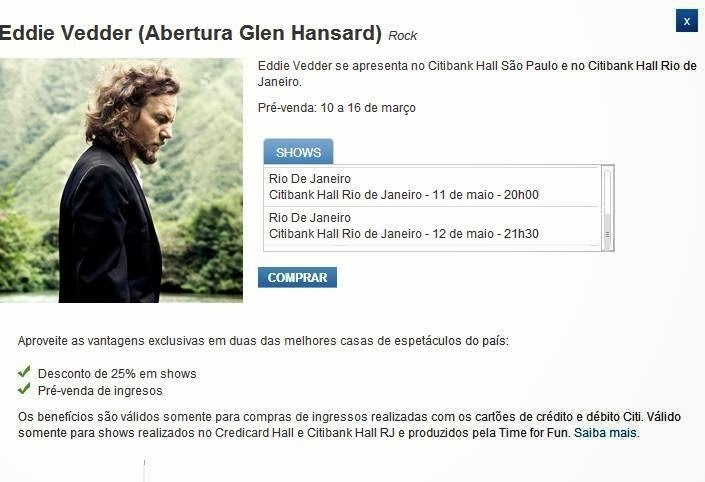 EDDIE VEDDER HARA 5 SHOWS EN BRASIL EN MAYO 2014. LOS DIAS 6 7 Y 8 ACTUARA EN SAN PABLO Y EL 11 Y 12 LO HARA EN RIO DE JANEIRO. A PARTIR DEL 10 DE MARZO HABRA PREVENTA PARA CLIENTES EN CITIBANK. LOS PRECIOS VAN DESDE LOS 50 HASTA LOS 800 REALES LO QUE EQUIVALDRIA A $170 Y $ 2.830 DE ARGENTINA.ESTA ULTIMA TARIFA COMPRENDE LO QUE SERIA PALCOS.